If you’re requesting quotes for roofing prices in Concord, use these guidelines to make sure you get the best deal and the best quality. When you’re looking into different contractors, make sure you don’t base your decision on roofing prices. The issue with using that as the only gauge for deciding which company to hire is that you may not be asking the right questions. 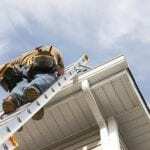 Some companies may offer you a much lower quote than others, but if you aren’t careful, you could end up going with an unlicensed and uninsured contractor. This could result in very risky outcomes. You also want to ask about warranties. A quote for higher roofing prices may include longer and more extensive warranties, so it would be worth it. Is the contractor adequately licensed? 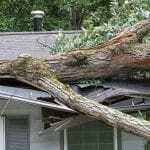 Does the contractor carry appropriate insurance? Are the materials being installed covered by warranty? At JM Reynolds Builders, LLC, we offer competitive roofing prices, so you can feel confident that you’re receiving quality materials from a good source. We break down the details for you, so you’re fully aware of what you’re paying for. We try to keep things as simple and transparent as we can for our customers. Another really important indicator is word of mouth. If you know people in the Concord area who have had a good experience, talk with them and see which contractor they hired. Then you know you’ll be well taken care of and happy with the end result. At JM Reynolds Builders, LLC, we offer fair and honest roofing prices in Concord, Kannapolis, Charlotte, Salisbury, Mooresville, Huntersville, Granite, Quarry, Davidson, and Paw Creek, North Carolina.